Diamonds, and other precious gemstones such as rubies and emeralds, are usually gifted to mark a special occasion or as a declaration of love. Sometimes they are set in pendants or earrings but often they are mounted in a ring to give them an increased significance. Many of us have quite specific tastes when it comes to the jewellery that we wear. Some prefer a subtle and simple design while others like something that stands out and is noticeable. Of course, the jewellery that we wear not only reflects our personality but it is also important to consider the shape and size of our hands and what will suit them. Too big and it can look ostentatious, too small and it may get lost. 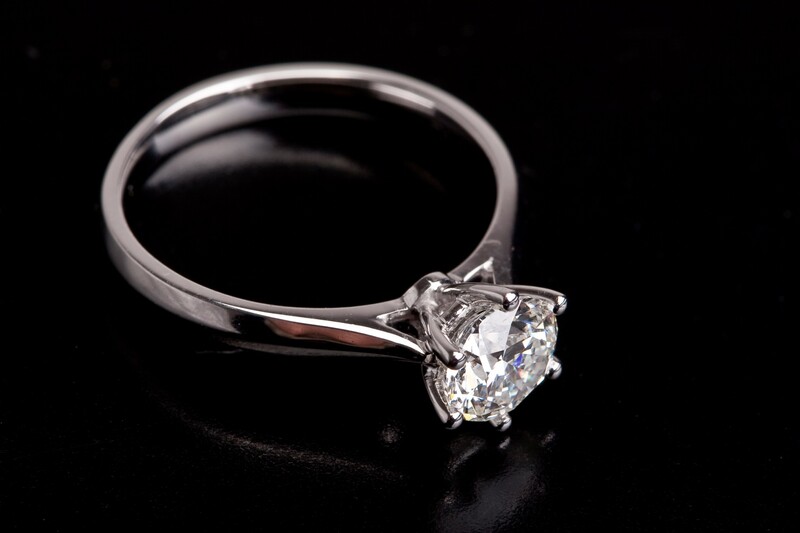 The solitaire is a popular choice as an engagement ring. 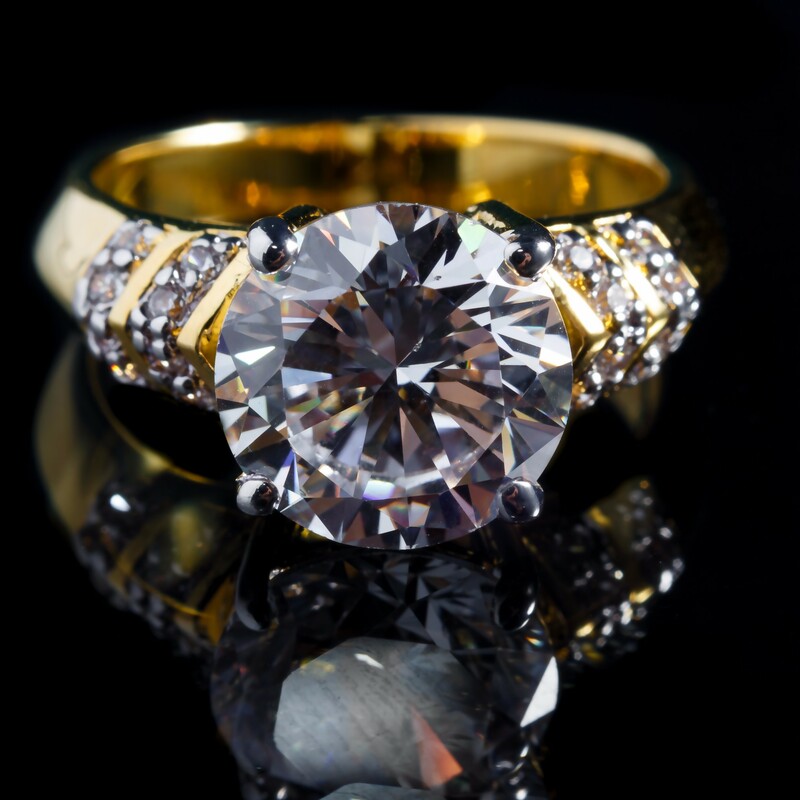 It can be a large or small single stone, usually a diamond, set in a mount of yellow gold, white gold or platinum. It is worn on the third finger of the left hand for a particular reason as this is the finger that contains the vena amoris – the vein that leads to the heart. While many solitaires are intended as engagement rings, if they are given as a symbol of love or celebration, they can be worn on the right hand. The eternity ring is a symbol of eternal love, usually given to a partner on the birth of a first child or to celebrate an anniversary or other significant event. The style of an eternity ring can vary although a popular choice is one that is half set in precious gems with the other half a plain gold or platinum band. When choosing an eternity ring, consider the style of the engagement ring and wedding band that are currently worn as the three pieces of jewellery should complement each other. While diamonds are a popular choice for eternity rings, it is not uncommon to see those that are set with rubies, emeralds and other precious gems. It has even been known to have different stones that represent different elements of a relationship. The wedding band is the ultimate sign of commitment and love. The complete circle of the band symbolises no beginning and no end – everlasting love. For those that follow a specific religion the rings are usually blessed as part of the wedding ceremony to further consecrate the marriage. 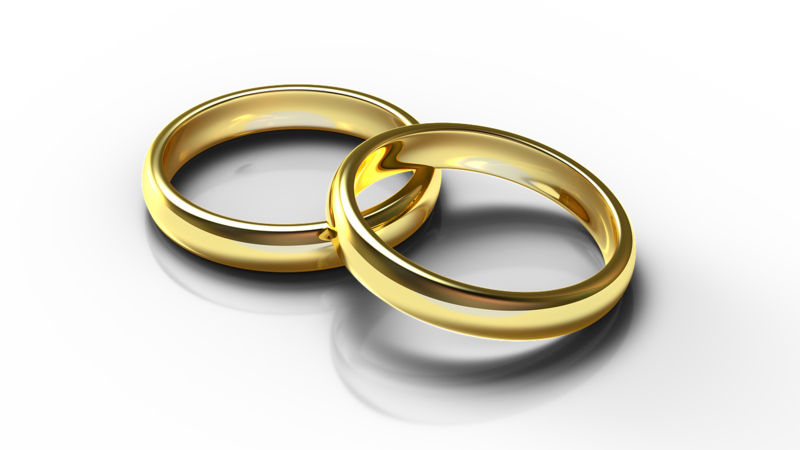 A wedding band is often worn by both partners although some men traditionally choose not to wear one. Some couples like to have them engraved with initials or with the date of the wedding. They can also be set with precious gemstones either on the inside or the exterior of the ring. Many couples choose yellow gold, white gold or platinum and often they match each other with the gent’s version being a larger version of the lady’s. The trilogy ring acquired its name from the fact that it is set with three stones. These stones represent the past, present and the future. They are often set with diamonds and are mounted in gold or platinum settings. Stones can be all the same size or different. As they have a significant meaning they are another popular choice to mark an engagement for those who prefer something different to the solitaire. In addition to engagement, eternity rings and wedding bands, an anniversary ring is a popular gift to celebrate 5 or 10 years of marriage. When it comes to a particular style, there are no set rules. One single solitaire or a diamond cluster – it is all down to personal taste and preference. Of course, if you want to be really romantic, there is the option to have something custom made to sit alongside an existing wedding band and engagement ring. Of course, there is much to consider when making your choice. While there are many different types of rings, the common factor with them all is that are intended to be worn for a lifetime so it is critical to choose wisely. The ring must suit the recipient both in style and shape. Consider the size and length of the fingers and how it will look on the person it is intended for. While you may want to declare your undying love with a huge rock, it may not look right on someone with tiny hands. Why not consider the option to have your jewellery custom made. The beautiful thing about bespoke jewellery is that it is unique. There are no two the same and you really will be presenting your partner with something that is one of a kind. At The Goldmarket, we offer an extensive selection of all types of rings from beautiful solitaires to the most wonderful diamond clusters. If you have something specific in mind we can help you to source it and if we can’t then we can custom make it for you. Our talented team of jewellers have extensive experience when it comes to producing bespoke jewellery and have an excellent eye for design. While it doesn’t have to be a special occasion to show someone how much they mean to you, Valentine’s Day is the day that ladies and gents like to feel special. For many a dozen red roses or a bottle of the finest pink champagne and chocolates are a firm favourite, for others it’s the chance to make a spectacular romantic gesture. We are of course talking about diamonds, specifically those that are mounted in engagement rings! Planning a romantic proposal this Valentine’s Day? 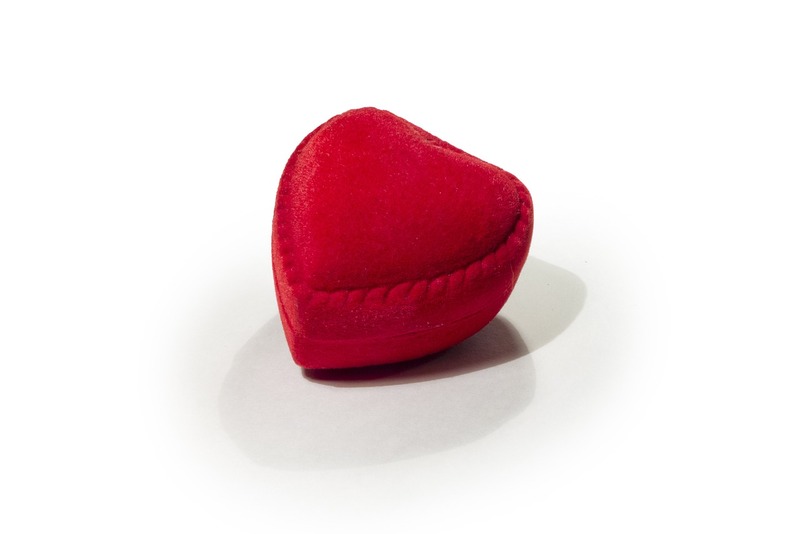 If you are going to pop the question to your loved one, Valentine’s Day is the perfect time. With an air of romance in the air and the stage set with hearts and flowers, many venues are geared to give you the ideal setting in which to propose. Choosing the right engagement ring is critical. You need to be confident that your partner is going to like it and that it will suit them and be appropriate to their lifestyle. When selecting a ring, some have a very clear vision of what they are looking for, from the cut of the diamond to the size and style of the mount. Others don’t have a clue where to start. That’s when you need a professional team to help. What style of ring should you choose? Round-cut, princess, oval, emerald, cushion, marquise…. where do you begin? What clarity of diamond will you choose and what style of mount will best suit? Will they prefer a solitaire or a cluster? Perhaps you want a trilogy or something less conventional. 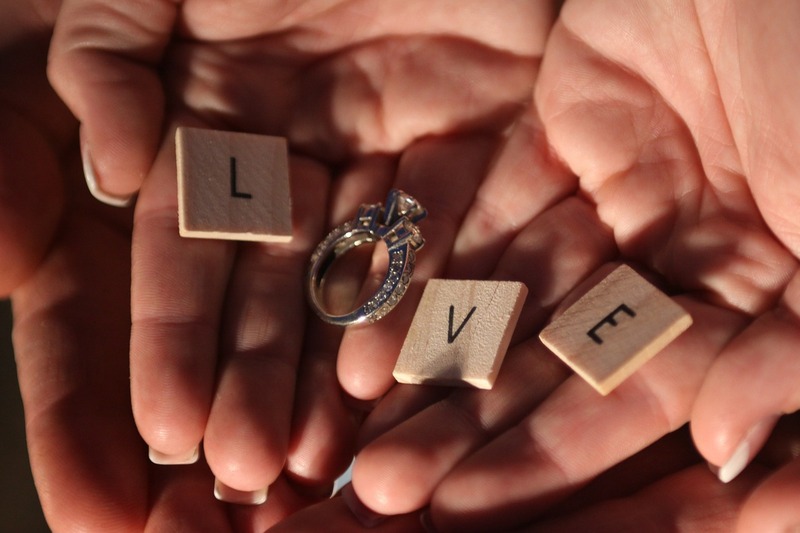 Don’t panic… using the information that you provide about your prospective fiancée/fiancé, we can build a picture of what they will like and what type of ring you should be considering. While you may want to make a gesture with a huge rock, they may have slender fingers and a slight build where something more petite may actually look better. Alternative they may not be the type to wear a simple single solitaire. At The Goldmarket, our team of experts have a lot of experience when it comes to choosing the perfect engagement ring that your loved one will wear for the rest of their life. 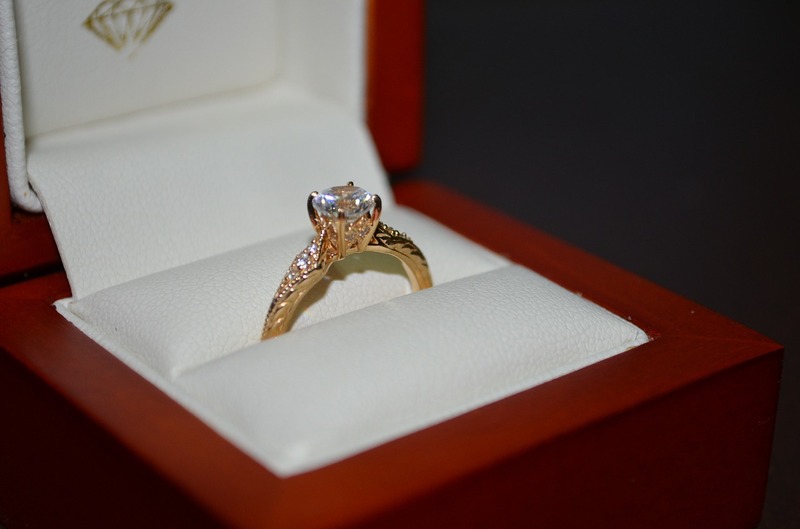 We will help you to select or source the perfect engagement ring that your intended will be thrilled to receive and show off to friends and family. 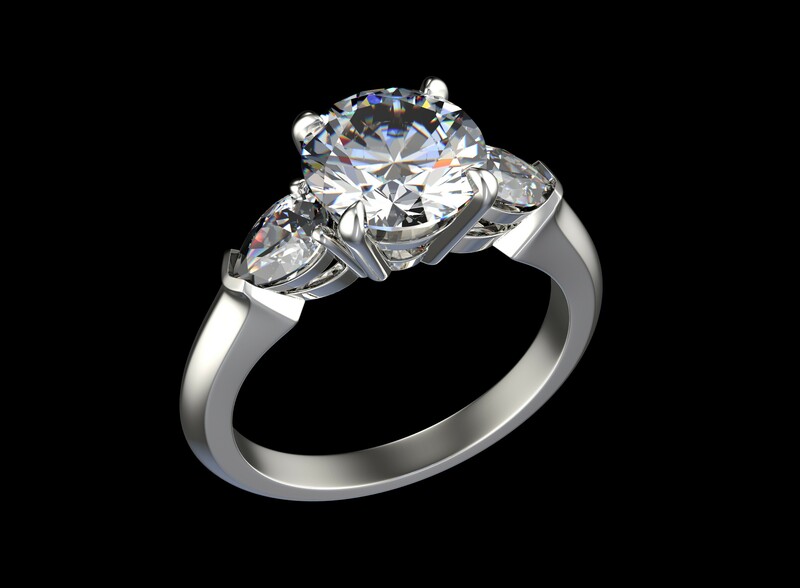 We can even design and create a bespoke ring to your exact requirements. From the size and cut of the diamond to the exquisite detail of the mount, you can rest assured that at The Goldmarket, you are in safe hands. And don’t forget, when you have selected a stunning engagement ring, you are going to need wedding rings which we will only be too happy to help and advise you with also. Choosing an engagement ring is a big decision. Often it is the choice of the male who, with the help of an experienced jeweller, can select the best diamond cut and style for his prospective fiancée. If you are choosing the ring yourself, however, you may be confused as to the various cuts, shapes and styles of diamonds available. Which will sparkle the most and which will suit your hand and, of course, your style? Which will you be happy to wear for many years to come? We take a look at the choice of diamonds and what they mean. This is the most popular diamond cut with many selecting the round-cut as their choice of diamond. In fact, approximately 75% of all diamonds sold are round-cut. The brilliance of this gemstone means that you can really show off the sparkle of your ring. The name alone is enough to make the decision for you. How many of you want to feel like a princess? This diamond cut, introduced in 1980, has a face-up shape with rectangular or square sides. Its versatility means that it works well in many styles of ring. Like the round-cut diamond, the oval diamond is brilliant and has all the same properties of a round diamond but with an elongated shape. This can give it the illusion of being bigger. Another brilliant cut diamond, the marquise creates the illusion of size. Its football shape means that carat for carat it has the largest surface area of any diamond shape. 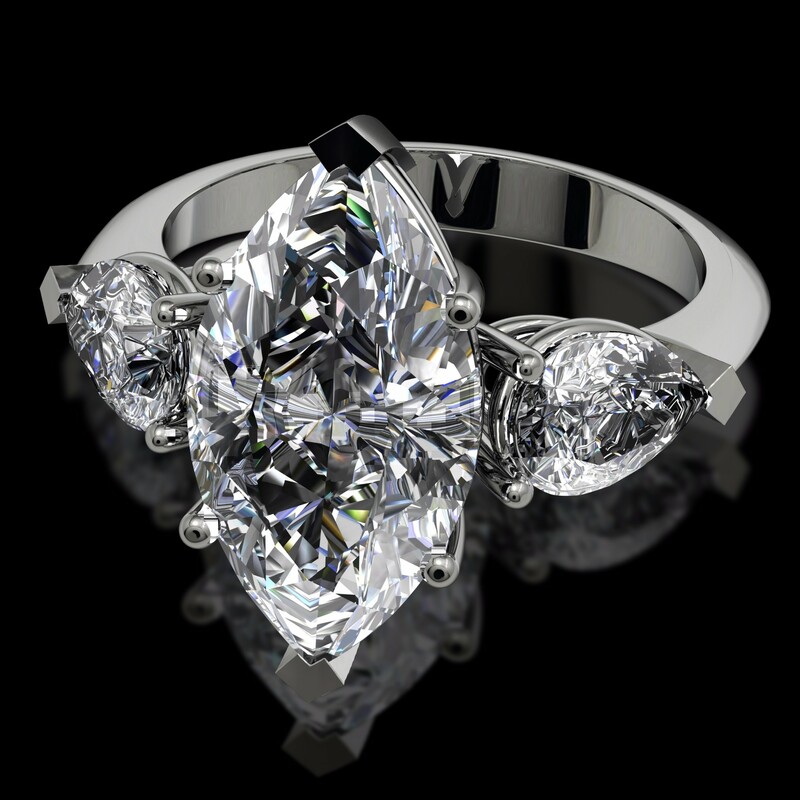 If you want your ring to look larger than life then the marquise-cut is a good choice. The easiest way to describe this brilliant-cut diamond is a mixture of the round and marquise diamonds. This ring has great symmetry with a tapered point at one end. The ratio of length to width of a pear-shaped diamond should be between 1.40 to 1.70. This particular cut was also known as “old-mine” cut. 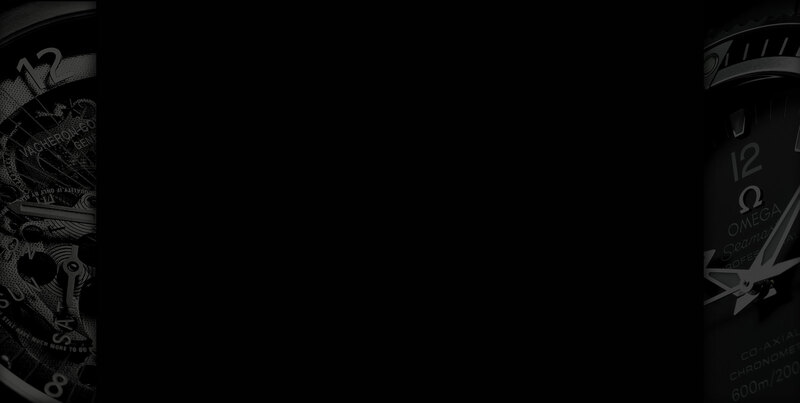 A square diamond with round corners, it is easy to see how it got its name. The cushion isn’t quite as brilliant as other cuts but this diamond has a lot of fire! An emerald diamond is harder to come by than a round-cut or princess-cut diamond however its rarity does not make it more expensive. This particular diamond is actually less in demand although it is worn by many A-list celebrities. While it may not have the sparkle of a round diamond, it is a very elegant choice. This diamond cut was first produced in 1902 by the Dutch Asscher brothers who were famous for cutting the Cullinan stone. It has recently started to make a comeback after a period of only being found in antique shops. 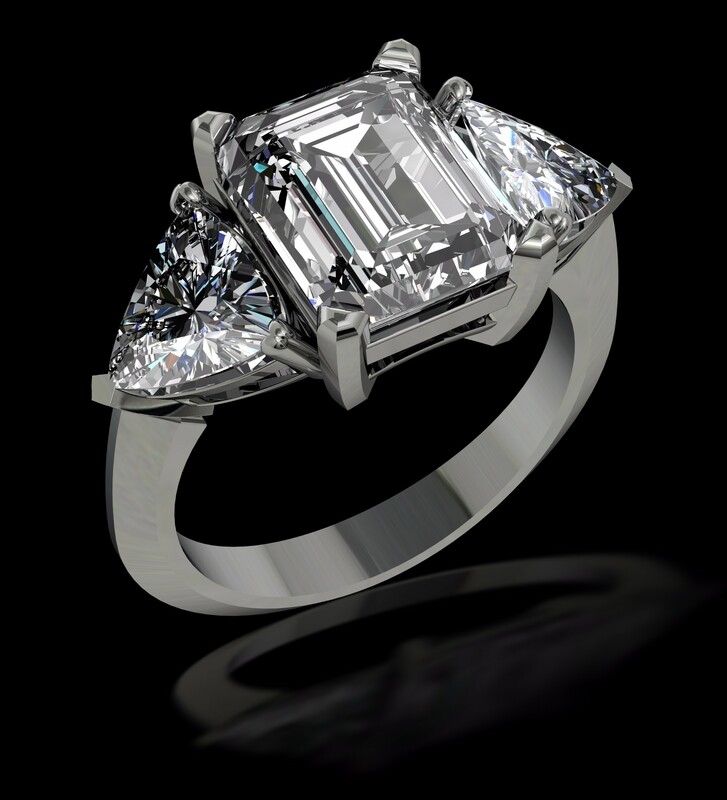 Similar to the square emerald-cut, it is often more brilliant. In addition to the above, there are also the radiant and heart-cuts and those that are known as “fancy’ cuts. These include modified brilliants, step-cuts, mixed-cuts and rose-cuts. It’s safe to say that whatever you are looking for there is something to suit everyone. 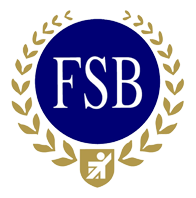 If you are unsure as to which is the right choice for you, our team of experts will be happy to advise.